Earlier in the month I felt like going down to a river close to my house to read. I was currently in the middle of Dante's Inferno but did not really want to read about hell on a nice spring day by the water. I perused my shelves and came to 'Mrs. 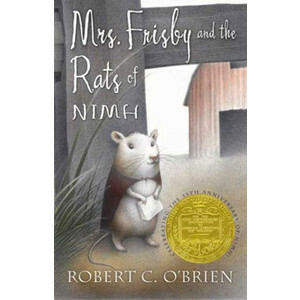 Frisby and the Rats of Nimh,' which I read in grade school. It's rare that I re-read anything, but I find it's exhilarating to re-experience some of my favourite childhood books as an adult. I was not disappointed. The rats have escaped from 'Nimh', a research facility who were enhancing neurological functioning of rats they found on the streets. When the Rats escaped, they moved to the rosebush where they created a modern rat hole (with electricity, a library, etc). They have something called 'The Plan' - where they abolish their prowess in technology to live a simpler life where they are self-sufficient. They want to create their own food instead of having to steal from farmers. Mrs. Frisby finds out that her husband used to frequently visit these rats and died at the paws of the farmer's cat, trying to help the rats with an expedition. In the end, the rats are able to move Mrs. Frisby's house so that it is not plowed and Timothy is able to recover. While I was expecting an adventurous tale of a rat society, I was not prepared for the depth of this work. O'Brien discusses the history of evolution. The rats have decided they can evolve to self-sustainment because monkeys were able to evolve into humans. 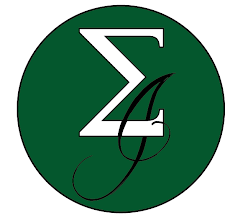 They talk about their thought process in creating a new society and I cannot help but be reminded of Plato's Republic - an idealist society created to maximize justice and contentment. The rats have learned that despite all the 'things' and 'luxuries' they had accumulated, they became discontented and longed for a simpler way of existing. While there are obvious comparisons between this work and others such as 'Watership Down' by Richard Adams (about a society of rabbits), there was an added depth to this work that was refreshing and different - there are many parallels to the trials of humanity. Thoughts of a simpler life chronicled by Voltaire in "Candide" and Thoreau in "Walden", swam in my head as I read this novel. I believe this is a great book for children as well as adults - one filled with both magic and meaning that all can take something from. I loved this book so much as a kid. I even read the sequel, Timothy Frisby and the Rats of Nimh, and liked that one too. I am so glad you reviewed this, because I had totally forgotten about these books until I saw this post in my reader. Maybe I should re-read this as well!